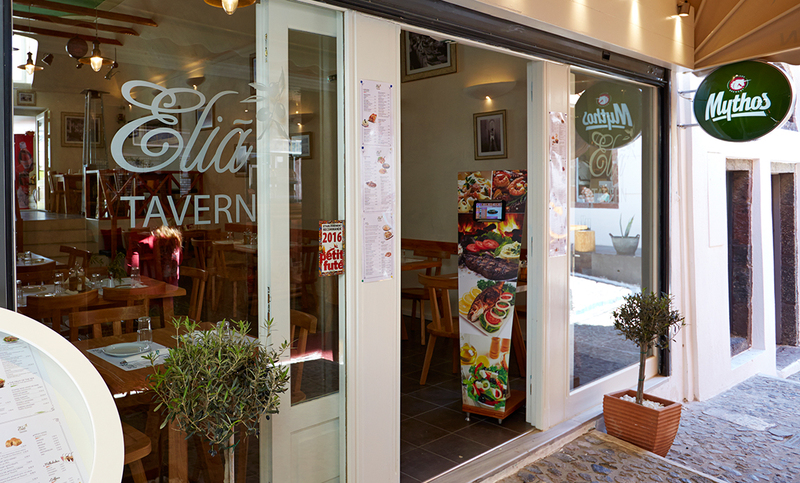 Elia Tavern signifies the Greek traditional cuisine and the Mediterranean diet since 2005. Thanasis Matsiotas is waiting for you (for lunch and dinner) in a wonderful place, just a few meters from the central square of Fira. 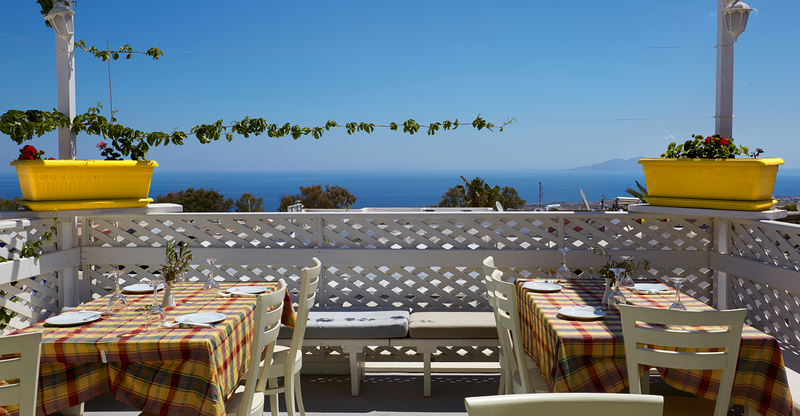 Elia Tavern features a beautiful and quiet roof garden, just in the center of Fira. 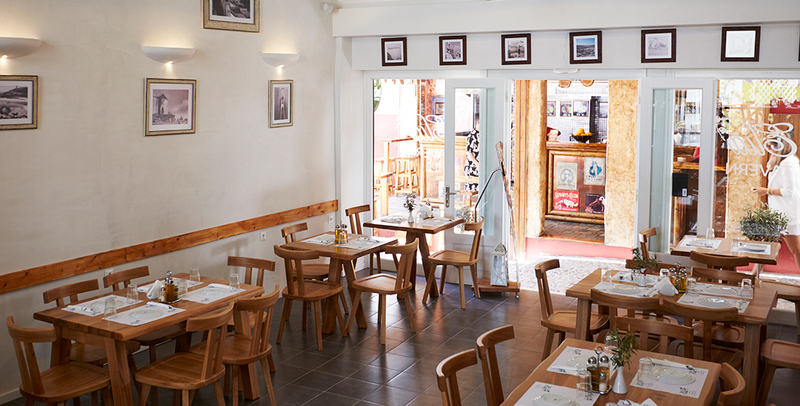 A peaceful environment, decorated with olive trees, offers a calm and relaxed atmosphere for you to enjoy your lunch or dinner , away from the clutter and noise of Santorini’s capital. Based on our local tradition, we grow in our garden our own biological products, which constitute many of our dishes. This is why we can proudly say: Elia Tavern : Eat better, live longer. Elia is all about Greek local cuisine, based on fresh and locally grown ingredients. Greek cuisine has always being famous for its rich flavors and colorful dishes. Elia Restaurant honors this tradition. Elia Tavern is available for lunch or dinner, every day. For your mid-day break or your late night dinner with your friends and family, our restaurant is the perfect choice, in a perfect location. Elia Tavern features a beautiful and quiet roof garden, just in the center of Fira. 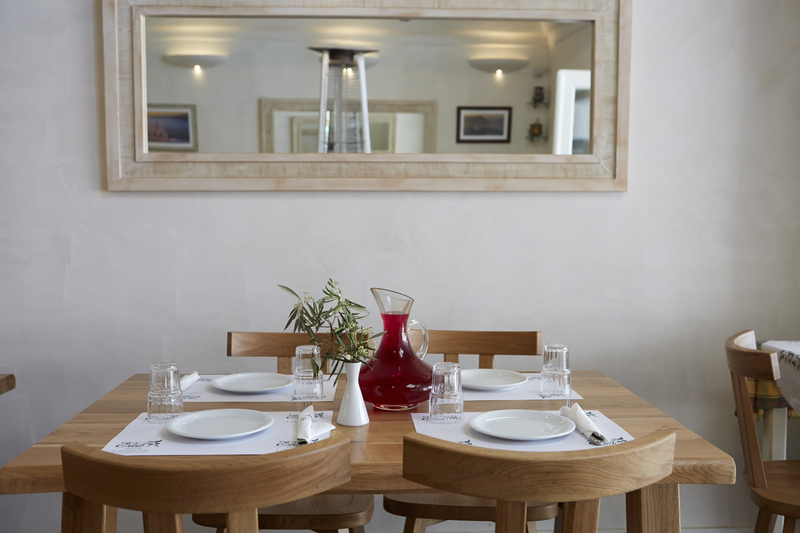 A peaceful environment, decorated with olive trees, offers a calm and relaxed atmosphere for you to enjoy your dinner or lunch, away from the clutter and noise of Santorini’s capital.